I have short hair, so covering my head is vital in making sure I don’t fry my scalp. I have hats, visors, beanies, and headbands. I recently reviewed some Original BUFF® headwear (click here for the review). So what makes BUFF® products so cool? Let’s take a look. It all started with the Original BUFF® headwear. From there the multi-functional headwear revolution was born. You can use them in so many different ways, from a headband, to a beanie, to a balaclava, or even a hair tie (there is a video below on how to hear them). Each BUFF® Original headwear is made from 100% breathable microfiber polyester and is 100% seamless. The material is soft to the touch and will not irritate your skin. They have Polygiene Active Odor Control so they won’t stink, and I really put it to the test. It works! 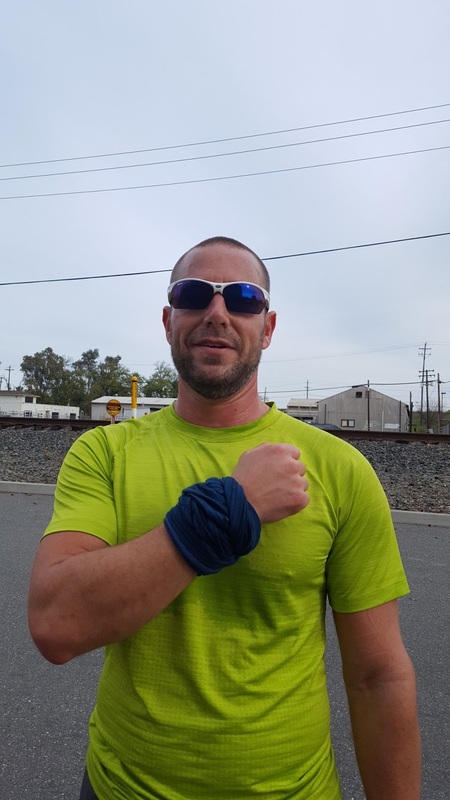 They recently came out with a Merino Wool BUFF® product and it’s awesome too! Anybody that knows is aware of how much I love Merino Wool products. 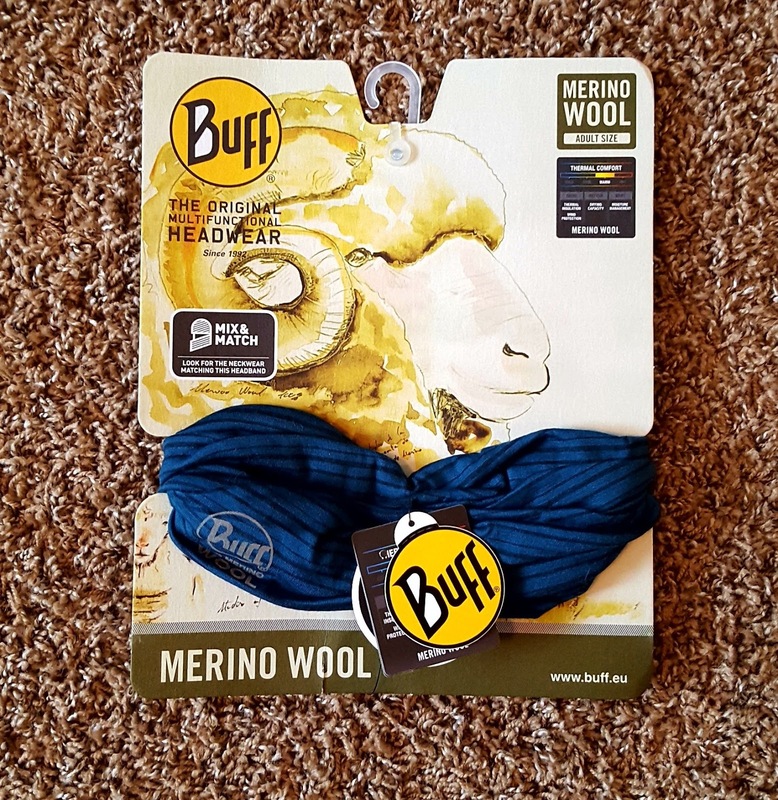 The Merino Wool BUFF® is made from 100% Merino Wool and is longer than their BUFF® Original headwear by about 33%. I love how you get the warmth and wicking of Merino Wool without the itchiness of old school wool. I remember how much I hated my wool sweaters as a kid, do you? That is not an issue here. There are 50 different Merino Wool BUFF® styles from plain to stripes to designs. There is at least one to fit everyone’s fashion style. I got the Yarn Dyed Stripes Seaport Blue Merino Wool Buff®. The Merino Wool BUFF® weighs 1.7 ounces and measures 25.9 inches x 9.6 inches and fits most adults. There are no seams, but there is a flat hem at each end to prevent fraying. It is easy to wash. You simply hand wash your Merino Wool BUFF® in cold water and just hang to dry. Merino is naturally anti-microbial and prevents odors so it won’t smell after extended wear. It will also feel dry even if it is full of sweat, which is one of my favorite features of the Merino Wool BUFF®. The color will not fade and will protect you down to 32 degrees F (0 degrees C). Below is a video about some ways you can wear your Merino Wool BUFF®. 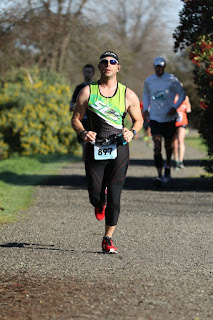 I have thoroughly tested the Merino Wool BUFF® in temperatures ranging from 38 degrees to 60 degrees. It not only wicked moisture, but kept me warm, even in 38 degree temps. I love how versatile it was and you can even switch how you use it mid run. 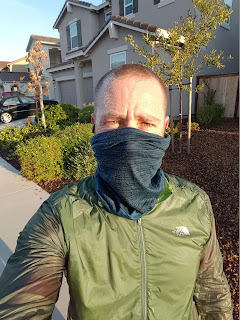 I started using it as a Balaclava and then as the temperature rose, I turned it into a headband. I eventually took it off my head and wore it as a wristband to wipe away the sweat. Do you own any gear that is more versatile than that? I doubt it. Thermal protection down to 32 degrees F.
BUFF® has so many different styles and patterns to choose from, you can find one that suits your personality. The Merino Wool BUFF® takes all of the features you love from the BUFF® Original headwear and add Merino Wool, which I think is the best fabric around. I have tried all sorts of different headwear in the past and I would place my Merino Wool BUFF® at the top of the list. 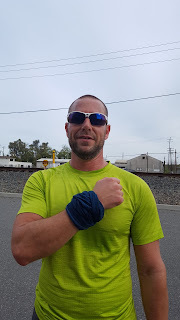 You can get yours at the BUFF® USA website for $26.00. 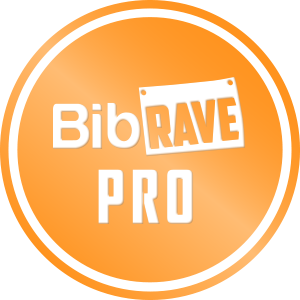 The breathability, versatility, and price makes it a must have piece of running gear. Get yours and let me know what you think.